The Education Industry has gone through several revolutions over the years. What started out as self-directed play and exploration was made formal and universal when classroom training went mainstream. There have been several other similar advancements in the education system over the years that have made it easier for learners to gain necessary skills. One of these disruptive revolutions is the advent of online learning. Online learning is currently in its early adolescence and is vastly changing the way learners gain necessary skills to progress in their career or just for feeding their curiosity on a subject. But is this the future of education? Or is it just another gimmick that is going to fade out with time? Let’s look at three major reasons why we believe e-learning is the future of the education sector. Unlike brick-and-mortar institutions, online learning platforms do not require candidates to travel to specific location to attend classes. Learners can easily log on to their classes using computers or smartphones. This not only saves a lot of time on both the learners’ and teachers’ end, it also allows experts in the subject to take classes which will essentially be the best possible approach to learn something. This means that you don’t have to limit yourself to an instructor who may or may not be the best person to learn from because of your location. You can opt for world-class instructors who can impart their extensive knowledge and years of hands-on experience onto you, essentially making you an expert yourself. And because of its delivery method, all this and more is possible right at your fingertips! What’s more, if you miss a class due to any reason, you can reschedule it or just go through the recording of the same. This could never be possible in a classroom setup. You’d have to cover up the topics you’ve missed on your own or with the help of your peers, which is never the best option. Working on hands-on projects and assignments is also very simple. All the necessary software and platforms can be installed directly onto your system and you can complete the necessary proofs of work at your own pace. If that’s not possible, most leading e-learning portals offer cloud clusters or Cloud Labs for you to gain hands-on experience in the subject at hand. Because of all these advantages of online learning, this approach appeals students and working professionals alike. Unlike classroom training, online training doesn’t come with boundaries like your current location, your professional background or anything else. Because of this, you can find a lot of diversity in each class of a course. This not only accounts for an unbounded learning experience, it also allows learners to meet and socialize with people of different backgrounds and locations. In the long run, this kind of networking would be helpful to anyone looking to build a strong professional career. Not just this, learners will be able to learn from instructors and other learners from different social, racial and ethnic backgrounds. No matter what kind of class you look at, there are always learners who might be too shy to stand up and ask out their queries. This clips off the learning that a person can go through. Online learning breaks this boundary allowing even shy or introverted students to come out and ask their questions without having to stand up and talk in front of a roomful of people, which might be intimidating to them. This guarantees that each learner, no matter his/her psychology, learns everything to the best of their abilities. As the interaction in online learning is real-time, all learners can clear all queries just like any classroom session without having to wait. This ensures that all your queries are clarified by the end of the session by a subject matter expert, giving you the best learning experience possible. Moreover, as the whole system is designed to work over a smartphone or computer, learners do not necessarily need to speak to the instructor vocally. They can just type in their queries and let the instructor address them. And we all know that most people find it more convenient to type out their issues rather than vocalizing them. The overall mechanism architecture classroom training makes it difficult to change/upgrade over short periods of time. It is difficult to get instructors who themselves know and understand the latest trends in the market. Creating and maintaining environments of the technologies for practical hands-on for all the different participants is hectic. Because of several issues like logistics, getting updated instructors etc., bringing updates to syllabi in classroom training is quite difficult. This accounts for an overall lag in introducing market trends to the learning model which could be anywhere between two to eight years. Online learning solves these issues very elegantly. As there is no geographical limitation, finding and working with instructors who are working professionals and tend to keep themselves upgraded to the latest trends is not that difficult. Moreover, as the hands-on learning happens on the learner’s, everything can be setup quite easily without having to look for physical labs and computers that meet the requirements to execute the programs. Select few also provide flexibility to re-attend and reschedule any number of live and interactive classes, and a lot more. 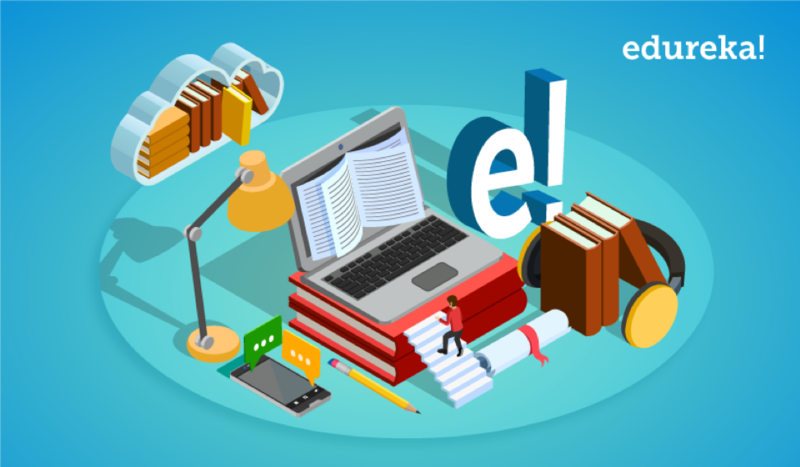 Adding on to this, online learning portals also have highly active forums and blogs where learners can connect with other students, professionals and experts. This allows them to share their experiences, clarify any queries and socialize professionally. Some online learning portals also offer personalized learning plans that are designed by experts for each individual learner depending upon their professional background, aspirations and goals. Additionally, every learner gets individual attention from the instructors to clarify any queries they have. All these features make online learning a breeze and have been attracting people from all sorts of backgrounds, no matter their location, for a very long time. One more important factor to keep in mind is that unlike colleges and universities, online learning portals offer a wide variety of subjects a person can get into and master. You might remember how online shopping took the market by storm a decade ago and is now a norm when it comes to getting your hands on different products you could buy from brick-and-mortar shops and outlets. In a similar fashion, online learning is slowly taking over the educational industry at large. Most people have already taken up at least one online course until now. And, if you haven’t experienced this new trend already, why not give online learning a try this year? How to Recharge Your Batteries in a New Job?